The European Small Business Alliance (ESBA) welcomes all those SMEs that wish to have a voice in Brussels. 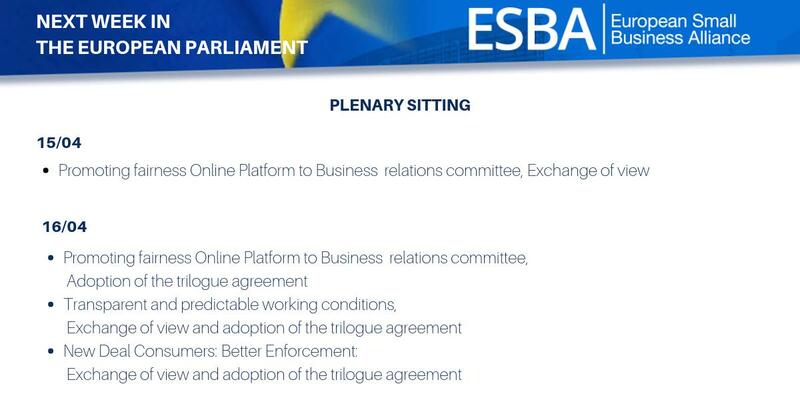 ESBA promotes the needs of all SMEs and advocates necessary adjustments in EU legislation removing obstacles for small businesses and enabling them to thrive. ESBA knows several forms of membership, from full member associations to individual micro companies, with full national associations as ESBA's primary members and driving force. ESBA welcomes Full Members, Associate Members and Individual Members.